Eye On France: A Clean Bill Of Health? The French parliament is today debating new health legislation. Le Monde offers a quick guide to what the new law proposes. And there are alarming findings about French alcohol consumption. The last time a health bill came before the National Assembly, four years ago, it nearly led to uncivil war on such vexed subjects as secure shoot rooms for addicts, compulsory additional health insurance for everyone, the so-called neutral packaging of cigarettes. Today's bill is a lot more technical, probably a lot less divisive. But Le Monde says the new law will force a major reorganization of the way health services are provided and used in France. 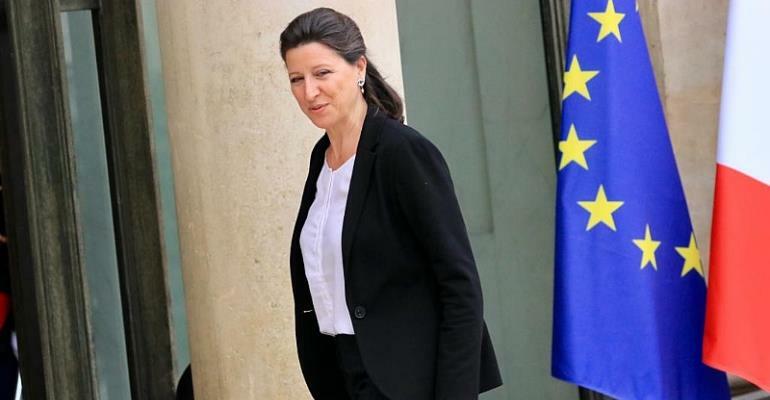 The health minister, Agnès Buzyn, is anxious to encourage medical professionals to return to France's rural black holes, those vast, under-populated areas which have been deserted by their doctors. She has promised not to force anyone to work anywhere they don't choose for themselves. That contradiction alone is likely to take a miracle or an awful lot of money to resolve. If the law is passed, next year will see the end of the automatic expulsion of fifty thousand medical students from the nation's medical schools at the end of first year. The so-called numerus clausus or “closed number” is currently set by the health ministry, in consultation with the universities, and last year allowed 8,205 youngsters among 60,000 candidates to proceed with their medical studies. The bill won't magically make more second year places available, but proposes to somehow regionalise the student intake so that areas short of doctors will train more of them. Sounds like another miracle and/or an awful lot of money will be needed. Agnès Buzyn thinks she can squeeze in 20 percent more students. But that means more laboratory places and more room for hospital trainees. Even if it works, it will take a decade to have any impact on today's doctorless deserts. The bill also proposes to widen the intake to the medical schools to encourage candidates from different backgrounds, not just rich or middle-class kids with good memories and supportive parents, to become doctors. The new law will allow some civil servants and people with diverse academic competences to apply for second and third year medicine. From 1 January next, pharmacists will be allowed to prescribe certain listed medicines, a provision which has, understandably, made some doctors sick. The minister has promised to listen to both sides in the course of the parliamentary debate. A third miracle might come in handy? Nearly one quarter of French people drink too much alcohol. According to figures just released by the national health agency, and picked up virtually word-for-word by all the daily papers, ten million persons aged between 18 and 75 are putting the juice away at a rate in excess of the recommended maximum of ten glasses per week. That might sound generous until you see the miserable size of the glasses and read the small print to discover that you have to limit yourself to two thimblefuls in succession, and should not drink on successive days. Which actually makes getting the weekly maximum into you a practical difficulty. If you start with 2 on Monday, and follow the recommended on-off routine until Friday, two glasses each time, you'll inevitably arrive on Sunday with a hugely excessive four glasses in hand, having been forced by the calendar to spend a miserable, drink-free Saturday. Gritting your few remaining teeth, you down two of the four to remain inside the limit, and then launch into a week which begins with two glasses on the Tuesday, leaving you with the same moral problem of the four leftovers the following weekend. Men are the most serious drinkers, and poor, young men are worst of all. Women are more likely to suffer the ill effects of the demon drink than men. Mercifully, women account for only 14 percent of those identified by the public health agency as dangerous drinkers, as against 33 percent of men. If you drink more than two glasses per day, every day, you increase your risk of cancer, high blood-pressure, stroke, heart failure, and a host of other preventable diseases. To say nothing of the negative impact of alcohol on the cognitive and memory functions of the brain. Or the effect of excessive drinking on family and social life, or in industrial and road accidents. And we are, I repeat, talking about small glasses. Not little buckets. Forty-one thousand people die early every year because of too much booze. Twenty-four percent of the big drinkers suffer 80 percent of the ill effects. And you expose yourself to all the risks as soon as you start drinking. There is no honeymoon period. I did manage to find a bit of good news on the public health front. According to Le Monde, France now has 600,000 fewer daily smokers than at this time last year. If you go back to the statistics for 2016, you'll find that more than one and a half million people have kicked the habit of smoking on a daily basis over the past three years. The government says this is the clear result of policy decisions which have pushed the price of a packet of twenty up to nearly 10 euros, and to the fact that nicotine substitutes are now covered by social security. Cigarettes are still causing 78,000 premature deaths each year in France, that's 200 fatal strokes, cancers or heart-attacks every day. Globally, tobacco kills seven million people every year, 900,000 of them non-smokers who are done in by the exhaust fumes of the smokers around them.